The other one is small, fluffy, and black and white. Who is going to dominate and take possession of the the fruiting tree? 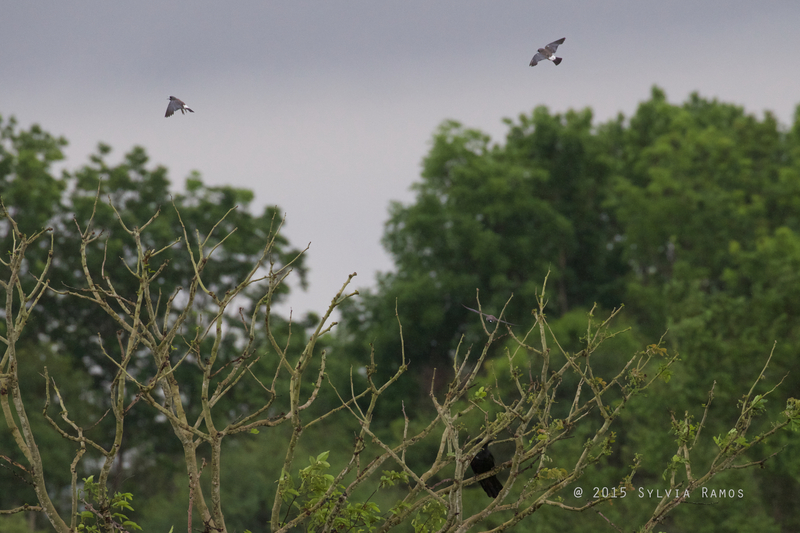 In this battle, the smaller woodswallows are the aggressor. 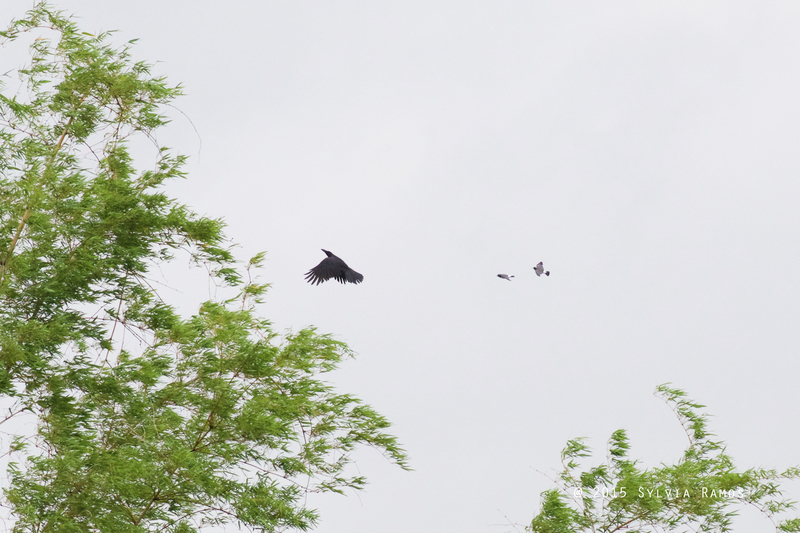 They dive bomb the crow. The crow just ignores them. 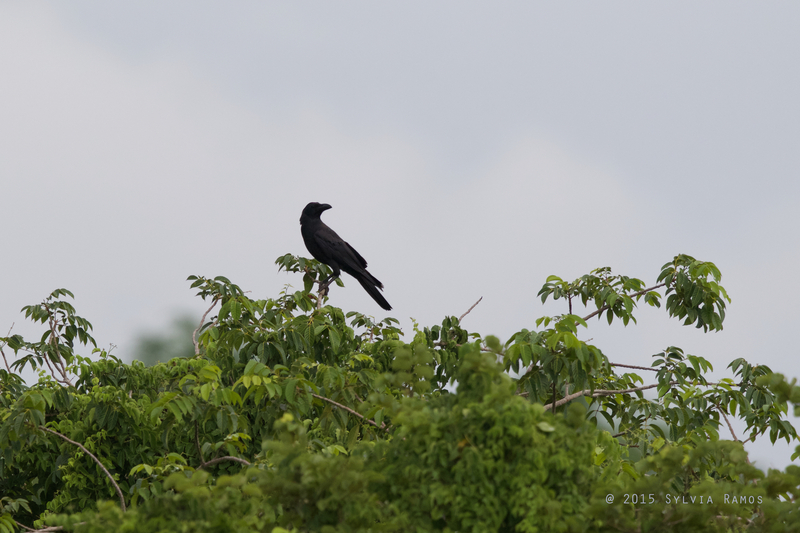 When they see the crow flying, they try to chase it away. I’m rooting for the woodswallows. But I don’t let the crows know. Crows are supposed to be among the smartest birds. There’s a study that found that crows who were caught and trapped remembered the faces of the students that trapped them and attacked them when they saw them, months and even years after they were trapped. 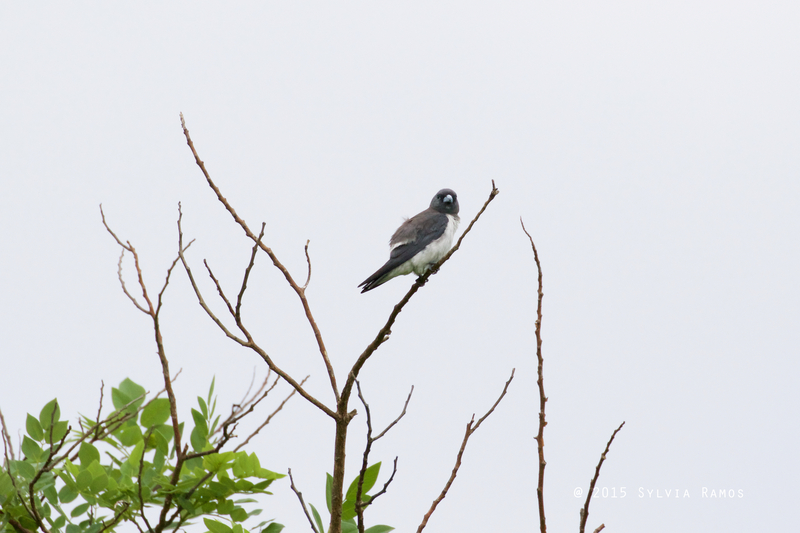 White-breasted Woodswallows are known for being aggressive. They will even dive-bomb people to protect their territory. But, they aren’t aggressive to all birds. 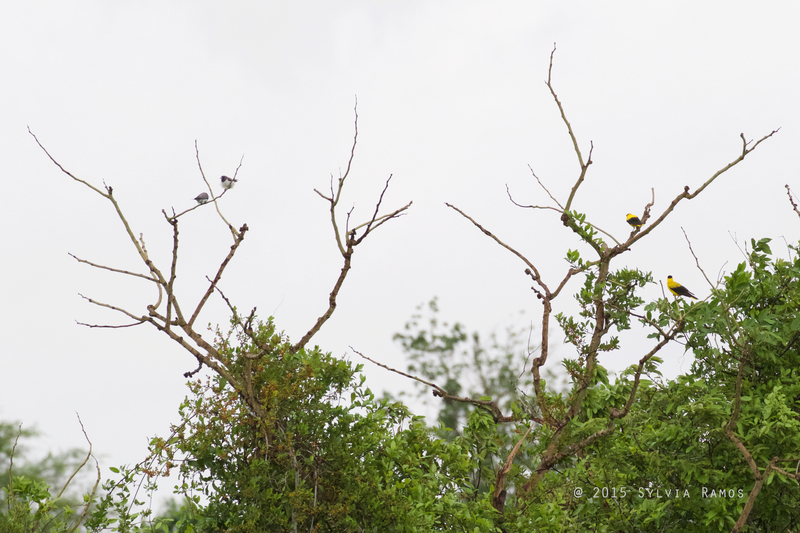 Here they are getting along nicely with the Black-naped Orioles Oriolus chinensis.